Developing vocabulary knowledge of learners is believed to be significant for the improvement of language proficiency. This paper reviews selected eight articles on the issues of explicit vocabulary instructions and vocabulary acquisition in English as Second Language (ESL) or English as Foreign Language (EFL) context. In order to investigate the trends and patterns across all eight articles, the content and context of each study were critically analyzed. The results of the studies concluded that vocabulary knowledge which has been developed through explicit vocabulary instructions are highly effective to teach the target words, even for learners with limited exposure to English. Learners who were exposed to the target words explicitly were able to acquire them better compared to their counterparts. Few of these studies even stated that these learners retain the target words well during the delayed retention stage. The findings of the selected studies have also indicated preferred methods contributing to the success of vocabulary acquisition among learners. It is hoped that this paper will enlighten readers on the trends and patterns of the current literature in the area of explicit vocabulary instructions and vocabulary acquisition across ESL/EFL settings. According to the research, lexical errors were the most common errors committed by second language learners based on the large corpora of errors. Their research finding shows the importance of vocabulary learning which can determine the success in second language (L2) acquisition. Therefore, in order to be proficient in English, learner needs to have extensive vocabulary that can be acquired through many ways. Moreover, study has pointed out, “Courses on reading, writing, speaking, listening, grammar and culture are common in L2 programs, but very few vocabulary courses exist”. It can be concluded that vocabulary learning is just a minor focus in second language (L2) programs although it plays a vital role in improving learner’s proficiency . Therefore, it is very important for the learner to grab any chances of learning new words especially during English lesson. To further investigate the above argument, the current paper identified two important variables; explicit vocabulary instructions and vocabulary acquisition. Eight current articles that fall under these categories were selected and reviewed . The discussion will enlighten readers on the trends and patterns of the selected studies. This paper is intended to enlightened readers on past studies that have been conducted in the area of explicit vocabulary instructions and vocabulary acquisition. Eight related articles published in 2006 to 2014 were selected for this study [3-5]. The similarities and differences between each study might provide valuable information on the developments of the current studies and help to validate what is needed to ensure effective vocabulary instructions. 2.1) Which research setting had higher rate of studies in all selected studies? 2.2) What was data collection method commonly used in all selected studies? 2.3) What was the pattern in the sample selection in all selected studies? 2.4) What was the common focus or issues in all selected studies? 2.5) What were the similarities and differences of the finding of all eight studies? There were eight articles selected from various educational journals published in 2006 to 2014 such as, a) Theory and Practice in Language Studies, b) Journal in Language Teaching and Research, c) The Southeast Asian Journal of English Language Studies, d) Adult Learning, e) Gist Education and Learning Research Journal. In general, the selected articles focus on the effects of explicit vocabulary instructions on vocabulary acquisition among participants. The selection of the articles provides a comprehensive view of how and what is effective to vocabulary instructions. These articles were cross analyzed according to their journal details, research questions, method, participants and future suggestions, as well as their findings. The collected data on research settings, research focus, methodology and participants of these studies were further analyzed statistically in answering the research questions [6-8]. In addition, to answer research question 2.3, a content analysis was conducted by analyzing their research questions, findings and focus. The percentage and frequency counts of all articles were used in each section to describe the trend or patterns of the current studies. Table 1 summarizes the description of each study on the selection of participants, research design, data collection method, data analysis, research setting, findings and focus of issue discussed. Table 1. Content analysis of selected eight articles. Paired sample t-test Non-native female English speakers of Iranian Elementary EFL learners in Ghalam-e-Bartar Institute. Unknown words should be repeated in different exercises, in order to be stored in long term memory and to be retained easily. Comparing recognition exercises and production exercises in immediate and delayed vocabulary tests in order to investigate learners’ vocabulary retention. Descriptive statistics Non-native English speakers of undergraduate university students. Students who learnt vocabulary through web sites with game outperformed the control group. Investigate the usefulness of online games in the vocabulary learning. Luu 60 students (30 students in the experimental group and another 30 students in the control group) Experimental design Tests Independent t-test Non-native English speakers in Way Ahead classes at NgoiNha Thong Thai Elementary School, Vietnam. Students who were exposed to the games in recollecting vocabulary surpassed the control group in the immediate and delayed retention stage. Investigate whether games influence young learners’ vocabulary recollection. Comparative methods ESL students studying TESL programme in Universiti Putra Malaysia. Teaching methods, the level of encouragement students received, peers’ negative and positive behaviours, classroom’s activity and textbooks were significant factors that generally affected the learners’ choice of vocabulary learning strategies in school. Investigate the influence of a formal language learning environment (classroom, teachers and peers) on vocabulary learning strategies. Descriptive statistics Early intermediate EFL Iranian learners studying at one of the branches of Kish Institute of Science and Technology in Iran. Both groups improve significantly on the post-test. In terms of the subtests, EVL outperformed the IVL on meaning and preposition, while IVL did marginally better on the subtest of collocation. Comparing the effectiveness of Implicit Vocabulary Learning (IVL) through Extensive Reading with Explicit Vocabulary Learning (EVL) through activities requiring Deep-level Cognitive Processing on the long-term vocabulary recall. Holistic analysis approach Limited English proficient workers at a North Texas waste collection company. Explicit and work-specific vocabulary teaching method has the tendency to increase ELLs’ English language proficiency at various levels, acquisition and application of work specific vocabulary as well as their view and confidence of using English at the workplace. The impact of a six step framework for work-specific vocabulary instruction in adult English language learners (ELLs). Holistic analysis approach A group of teacher trainees in a Colombian university. Word Study notebook helped in teacher trainees’ learning of vocabulary through their active involvement during teaching and learning process in class. Explicit vocabulary instruction in a L2 (English) content-area course with a group of university student teachers. Descriptive statistics Seventh grade students from a middle school in the South-eastern region. No significant differences between both groups in vocabulary acquisition and reading comprehension. However, there is a slight differences were found in favour of the experimental group in reading comprehension. Investigation on the effects of directed vocabulary and whole class instruction on improving students’ vocabulary acquisition and reading comprehension. Interestingly, out of eight articles, seven studies were conducted in non-English speaking countries. Two studies (25%) each was conducted in Iran and Taiwan and one study each was conducted in Vietnam, Malaysia, United States of America and Colombia. These studies were conducted to meet the objectives in finding the effects of selected intervention on vocabulary acquisition among ESL/EFL learners in respected countries (Table 2). The cultural diversity is the main reason this study was conducted in the United States of America. The sample was from low-social economic status and has limited exposure to English. Lesaux (2012) believes that the social-economic status predicted the learners’ language proficiency. Table 2. Summary of research settings of selected eight articles. The other studies in non-English speaking context were conducted in examining the effects of explicit vocabulary instructions towards ESL/EFL learners which indicated high interest of non-English speaking countries to find out the best instructions to help learners acquire vocabulary effectively. Studies claimed that the ESL/EFL learners’ mother tongue might hinder their ability to acquire the vocabulary effectively. In short, there are two conclusions that can be drawn from these findings; first, studies were done based on the current needs of the education, which is to solve the increasing number of low English language proficiency learners especially in terms of insufficient vocabulary knowledge among them, and second, a further investigation (in ESL/EFL context) is done to provide additional lenses of the efficacy of explicit vocabulary instructions in developing vocabulary knowledge for ESL/EFL learners in non-English speaking countries. From all eight articles, the majority (62.5%) used experimental research design and only 37.5% employed qualitative research design. Studies claimed that experimental research design provides information on variations of performances of samples in different conditions. Figure 1 represents in depth analysis of methods used in all articles [9-11]. About five articles used experimental research design whereas only three articles used qualitative research design. 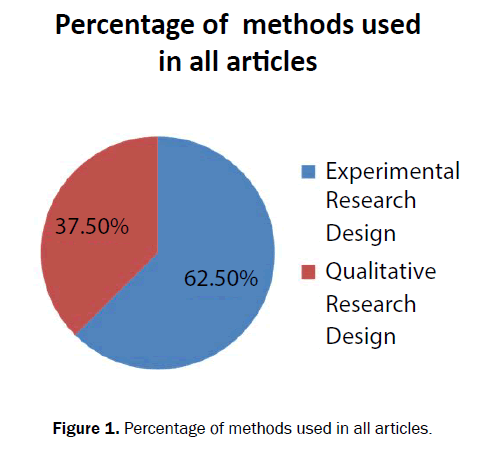 Figure 1: Percentage of methods used in all articles. Across all eight articles, four (50%) used undergraduate university students as their selected samples. These studies centrally focus on discovering vocabulary acquisition among university students. From these studies, it was found that explicit vocabulary instructions through online games, repeated exercises and word study notebook were effective to enhance vocabulary acquisition among students. On the contrary, there were two studies (25%) used elementary students as their samples. Similarly, these studies measured students’ achievement across language tests in finding the efficacy of selected intervention and development in vocabulary knowledge. Lastly, one study each (12.5%) used middle school students and private company workers as their samples. Madrigal- Hopes, Villavicencio, Foote and Green selection was appropriate for their focus of the study as they investigated the effects of explicit and work-specific vocabulary teaching method to increase English language proficiency of their workers at the workplace (Figure 2). 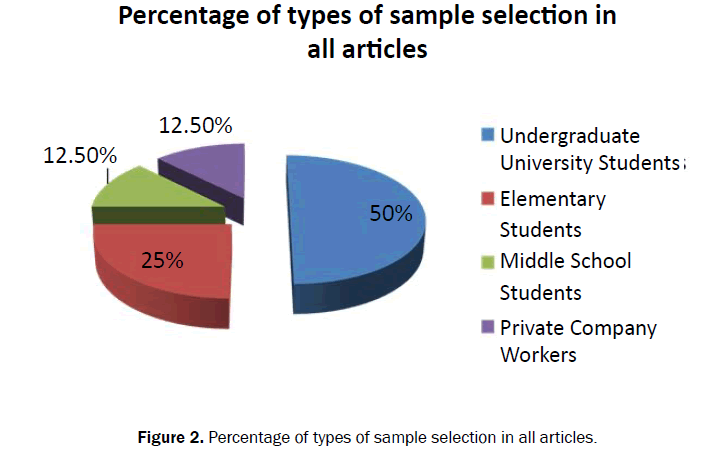 Figure 2: Percentage of types of sample selection in all articles. This section describes the focus or issues discussed in all eight articles. Table 3 represents the frequency and percentage of the focus or issues discussed in all eight articles. It should be noted that some studies have more than one focus or issue discussed in their study . From the findings, the most common focus or issues discussed were the usefulness of online games in the vocabulary learning (25%). On a contrary, the other areas only have the frequency of one study (12.5%) for each area. Table 3. Summary of focus or issues discussed in selected eight articles. Studies, on non-native English speakers in Taiwan and Vietnam the difference in both studies was the selection of sample. Yip and Kwan used undergraduate engineering students whereas Luu selected elementary students as his sample. However, both studies investigated the usefulness of online games in the vocabulary learning. On the other hand, data compared recognition exercises and production exercises in immediate and delayed vocabulary tests in order to investigate learners’ vocabulary retention. Studies investigated the influence of a formal language learning environment (classroom, teachers and peers) on vocabulary learning strategies. Moreover, recent study focused on explicit vocabulary instruction in an L2 (English) content-area course with a group of university student teachers. Furthermore, data compared the effectiveness of Implicit Vocabulary Learning (IVL) through Extensive Reading with Explicit Vocabulary Learning (EVL) through activities requiring Deep-level Cognitive Processing on the long-term vocabulary recall. Moreover, we studied on the impact of a six step framework for work-specific vocabulary instruction in adult English language learners (ELLs). Finally, data investigated on the effects of directed vocabulary and whole class instruction on improving students’ vocabulary acquisition and reading comprehension. In short, even each study pays a clear attention on explicit vocabulary instructions and vocabulary acquisition, the exploration was done beyond the efficacy of the vocabulary intervention . The additional angles incorporated in these studies, enrich their findings and contribute to the body of knowledge. There were a few numbers of previous studies focused on the ability of the participants to acquire the target words after being exposed to explicit methods of teaching vocabulary. The results of the pre and post-tests in the immediate and delayed retention stage were compared in order to investigate whether they have improved statistically or not. For instance, the research conducted found that EFL learners’ vocabulary retention significantly differed by using different exercise types. Fill-in-the-blanks exercise was the most effective exercise type influencing EFL learners’ vocabulary retention. Besides that, studies found that the experimental group outperformed the control group statistically which also shows that the students in the experimental group had higher retention level of the vocabulary learned in the post-test . Furthermore, the study indicated that the experimental group surpassed the control one in recollecting vocabulary during the immediate retention stage and the delayed retention stage. Moreover, the study that had been carried out by Madrigal-Hopes, Villavicencio, Foote and Green concluded that explicit and work-specific vocabulary teaching method have the tendency to increase ELLs’ English language proficiency at various levels, acquisition and application of work-specific vocabulary as well as their view and confidence of using English at the workplace. The next research was executed in which indicated that word study notebook helped in teacher trainees’ learning of vocabulary through their active involvement during teaching and learning process in class. Interestingly, the study concluded that both Implicit Vocabulary Learning (IVL) and Explicit Vocabulary Learning (EVL) had helped the participants to improve on their post-test significantly. The results of this study suggested that there were significant improvement of both groups on the post-test. However, the research had a different outcome compared to other studies. The results of this study showed statistically no significant differences between the control and experimental group in vocabulary acquisition and reading comprehension. Nonetheless, slight differences were discovered in the results of the experimental group in terms of reading comprehension. Finally, studies indicated factors that significantly affected the learners’ choice of vocabulary learning strategies in school were teaching methods, the level of encouragement students received, peers’ negative and positive behaviors, classroom’s activity and textbooks . This study has extended the current studies in the area of explicit vocabulary instructions and vocabulary acquisition by showing their trends and patterns of the study. It is noted that most studies in these two areas were largely conducted in many countries. Studies on ESL learners in non-English speaking context were conducted in testing the efficacy of the explicit vocabulary instructions in different language settings. In data collection method section, it is apparent that experimental study was the prominent research design used across six out of eight studies. The selection was done to meet the purpose of the research objectives, in measuring efficacy of tested intervention in developing vocabulary acquisition. It was found that there were seven different issues of focuses exemplified in the selected studies. Commonly, these studies explored the effectiveness of explicit vocabulary instructions on ESL/EFL learners. Also, there were additional lenses added in some of the studies, as there were explorations on other vocabulary acquisition factors, such as age and type of instructions to acquire vocabulary. These lead to further discussion on similarities and differences of the finding in the selected studies. The majority of the studies found that explicit vocabulary instruction is effective in acquiring vocabulary in the ESL/EFL context. Also, some of the studies have explored additional factors such as language learning environment, to be considered in designing an effective vocabulary instruction for the learners. In conclusion, the discussion of this paper has manifested the common trends and patterns of current studies with additional analysis of its underlying beliefs and reasoning behind each selection of method or approach. It is important to note that generalizations of these findings are inaccurate to be done in a larger population of studies, as the selected number of articles was small in amount. Chua YP. Mastering research method. McGraw-Hill, Shah Alam. 2012. Dimas HMS. Explicit vocabulary instruction in an English content-area course with university student teachers: When comprehensible input needs to be comprehended. Gist Education Learning Research. 2011;5:84-103. Gass SM and Selinker L. Second language acquisition: An introductory course (3rdedn.). Taylor & Francis, New York. 2008. Hashemzadeh M. The effect of exercise types on EFL learners’ vocabulary retention. Theory and Practice in Language Studies. 2012;2(8):1716-1727. KameliS, et al. The influence of formal language learning environment on vocabulary learning strategies. J Lang Teac Res.2012;3(1):23-29. Lesaux NK. Reading and reading instruction for children from low-income and non-English-speaking-households. Future Child.2012;22(2):73-88. Luu TT. Vocabulary recollection through games. Theory and Practice in Language Studies.2012;2(2):257-264. Madrigal DL, et al. Transforming English language learners’ work readiness: Case studies in explicit, work-specific vocabulary instruction. Adult Learning.2014;25(2):47-56. Mary Horn, et al. Effect of focused vocabulary instruction on 7th graders’ reading comprehension. Paper presented at the 2012 Chinese American Educational Research and Development Association Annual International Conference, Vancouver. 2012. Mirzaii M. Implicit vs explicit vocabulary learning: Which approach serves long-term recall better? The Southeast Asian Journal of English Language Studies.2012;18(2):1-12. Oxford R andCrookall D. Vocabulary learning: A critical analysis of techniques. TESL Canada Journal.1990;7(2):9-30. Sanaoui R. Adult learners’ approaches to learning vocabulary in second languages. The Modern Language Journal. 1995;79(1):15-28. Yeung SSS, et al. Effects of a phonological awareness program on English reading and spelling among Hong Kong Chinese ESL children. Read Writ.2013;26:681-704. Yip WM,et al. Online vocabulary games as a tool for teaching and learning English vocabulary. Educational Media International.2006;43(3):233-249.